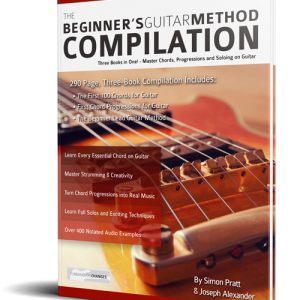 Get Inside the Rich Harmonies of Jazz Guitar Chords – The Easy Way! Do you struggle to understand how Jazz chords work? Would you like an easy way to memorize and play all jazz chords on guitar? Do you want to confidently use extensions, alterations and chord substitutions? 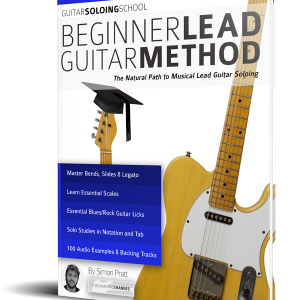 Do you want to quicklyplay the most common jazz chord sequences all over the guitar neck? A complete course, building from the first jazz guitar theory to help you memorize, understand and apply jazz chords musically. Unlimited practice exercises in every key based around the cycle of fifths. Bonus One: A complete system to simplify jazz chords into just four types so you can always play the tune. …However, as much as the music schools and universities like to keep this information secretive and shrouded in mystery (and hefty tuition fees! ), the truth is that the basics of jazz guitar chords are actually fairly simple… and all those complicated names and colors can be broken down into just four essential chord-types. 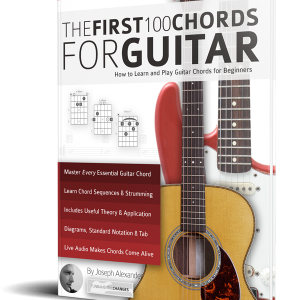 The First 100 Jazz Chords for Guitar starts from first principles, and quickly teaches you every chord you need to play any jazz tune. The theory is introduced in manageable, simplified chunks and there is a huge emphasis on actual playing… right from the start. 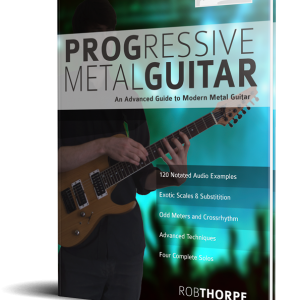 You will be smoothly introduced to the tools of the trade: chord extensions, alterations and substitutions before mastering drop 2 voicings, inversions, and other essential jazz tools that create beautiful, rich jazz music. 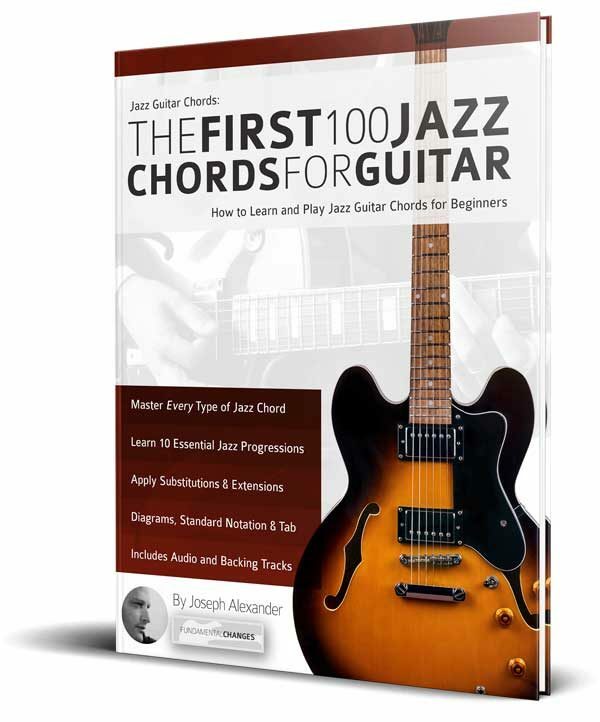 The First 100 Jazz Chords for Guitar cuts through complicated theory with ease, and helps you play confident jazz guitar quickly and with confidence.